Soy protein isolate powder that can be dissolved easily in your favourite beverage. 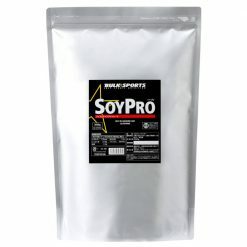 SoyPro Protein Powder has a protein content of about 90% and contains a larger amount of arginine and glutamine than whey protein (although the content of BCAA is less than that of whey protein). SoyPro Protein Powder cannot digest lactose (milk sugar) and may cause discomfort when used with milk-based protein powders, such as whey and casein. The arginine in SoyPro Protein Powder will be able to support healthy nitric oxide levels. SoyPro has a delicate soy flavour with no added flavors or sweeteners. 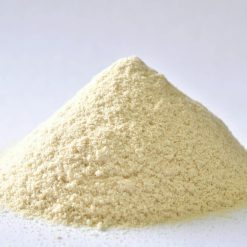 ※ Generally, soy protein contains 0.2 to 0.6% isoflavones. Take one scoop (30g) mixed into 250-300mL of your beverage of choice. Keep tightly sealed after opening and use as soon as possible prior to expiration.